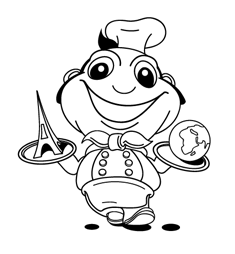 The TravelMenu project needed a humanoid character to inhabit the company’s site and entertain the visitors. Not just a character but a chef – a master of international cooking. 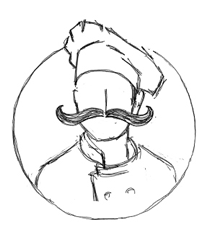 Why a chef? 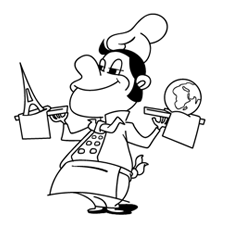 The zest of this tourist agency lies in the fact that it operates as a restaurant. In order to draw the right image we started off with pencil sketches. Realistic. The face is free from detail for a reason — facial expression does not play a critical role at this stage. It might even interfere with the look — a more laidback, cartoon version. A happy chef! This faceless, mustachioed figure evoked associations with Ukraine and France which wasn’t quite right since we needed a character without national traits. We decided to further develop the cartoon version. Cheerful. 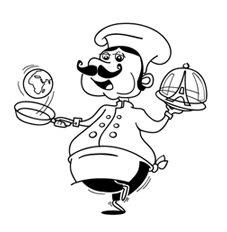 In this version the chef is very hospitable and happy. He approaches a visitor and offers a choice of two dishes. Simple. Simple graphics and sharp contours form the character. “Keeping it simple is stupid” quipped the client and declined the simple version right there. 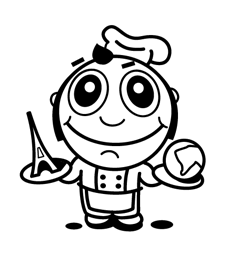 The cheerful chef was liked but the excessive American smile appeared too confusing. Noble. 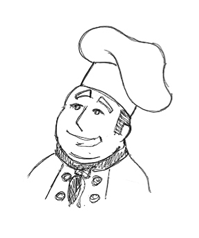 This chef came out from the cheerful version of earlier sketches. The face became more noble and the posture is full of dignity. Dancing. The items in the hands have been changed – a tray was replaced with a pan in order to accentuate the process of cooking. The client decided that we were moving in the wrong direction and advised us to expand our mindset, hinting that he really cherished the M&M’s ad characters. Globe. M&M’s styled character. 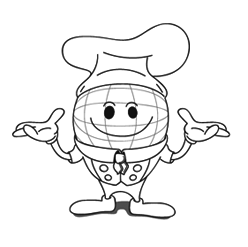 Chef’s outfit, cap, large head, huge eyes… A globe with a body. Hardly anything to add, right? Wrong! 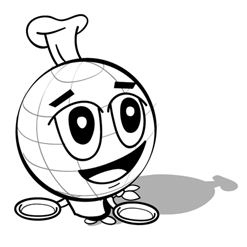 The globe-lollipop was regarded as secondary and too much resembled the M&M’s character. It was rejected. But the globe-with-a-body was regarded as a prospective version. Voilà! 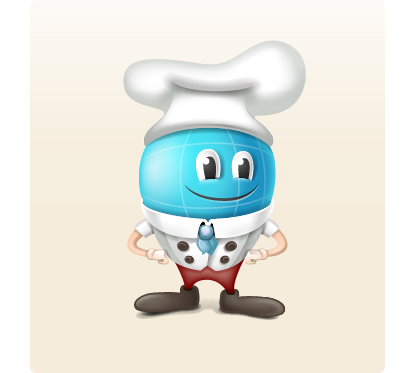 Now this guy illustrates the Cook yourself section on the TravelMenu site.